What parent hasn't said that? Perhaps not in such simple wonderful rhyme, but the sentiment will resonate with many parents. Of course Mama Llama relents and assuages baby's fears and tucks him in for sleep...again! 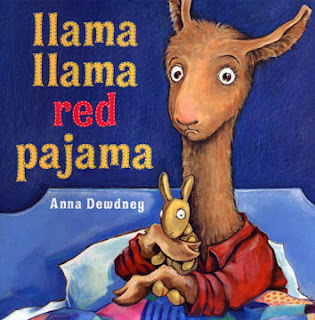 My favorite line is "Please stop all this llama drama..." A fine addition to the bedtime collection of stories for little ones.